Somnowell is a family owned and family run group of companies. 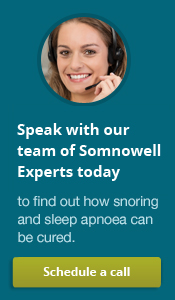 We are dedicated to the aim of continually improving the Somnowell product and thereby bringing a life changing solution to people suffering the effects of problematic snoring and obstructive sleep apnoea. The personal and social benefits of the Somnowell device represent a considerable return on investment. On a personal level the effective treatment of snoring and sleep apnoea can literally transform peoples lives. At a wider level, conditions such as problematic snoring and obstructive sleep apnoea incur huge expenses to businesses, government, and society. Treatment of these conditions at their root cause will significantly reduce these costs. Our mission statement is a set of guiding principles that we have drawn up for our Practitioner Partners. Putting the needs of the patient first. Placing quality of care before personal profit. Treating patients to the highest possible standards. Promoting the ethos and values of the Somnowell partnership. Providing accurate and comprehensive records as a cornerstone to excellent appliances. Valuing every learning experience and sharing those within the Somnowell partnership.